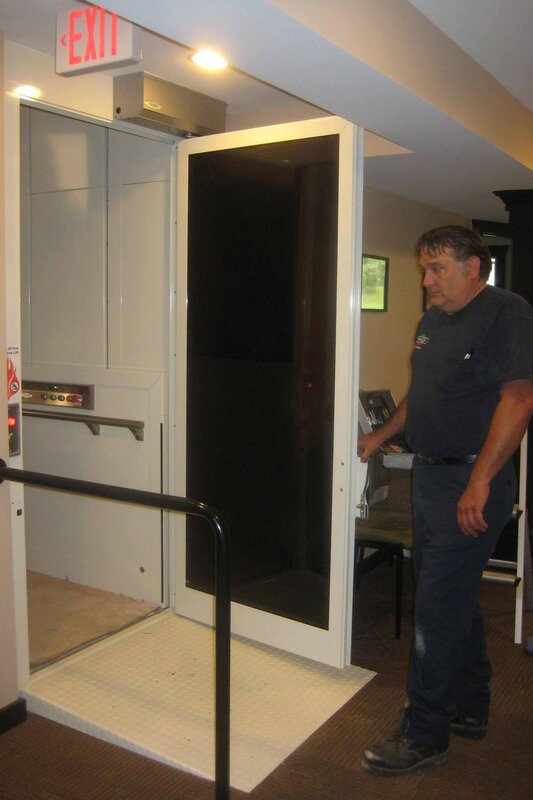 Commercial wheelchair lifts are intended for all public and private professional buildings including schools, universities, office buildings, houses of worship and for common areas in multi-family dwelling units. 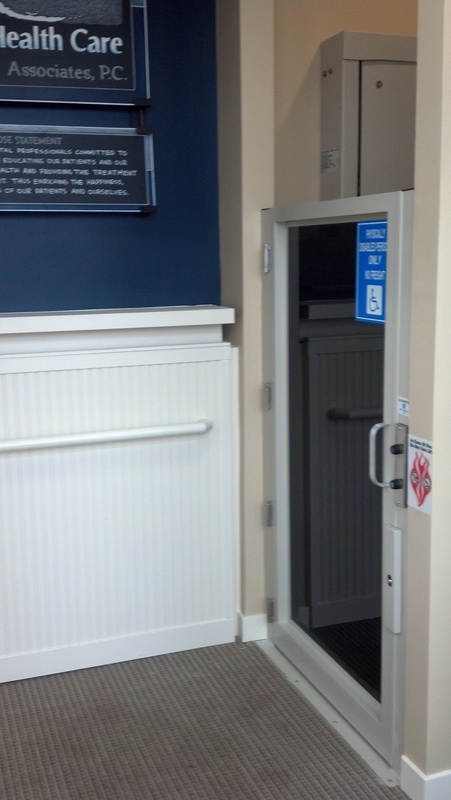 The wheelchair platform lift is the most popular alternative to unsightly ramps and often overcome architectural barriers with cost efficiency. 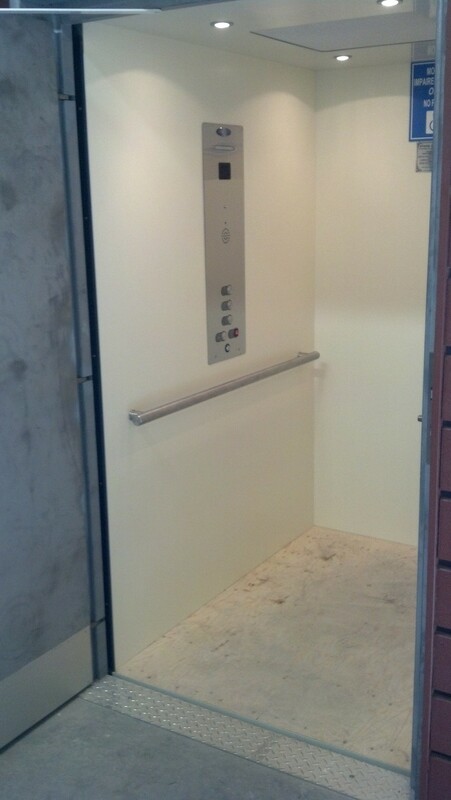 The commercial vertical platform lift requires an enclosure or shaftway surrounding the wheel chair lift with a maximum travel height of up 14 feet. 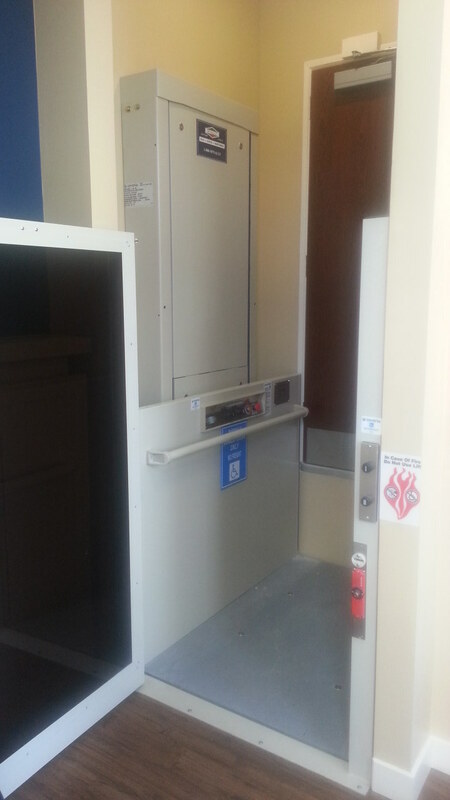 One option is a factory enclosed model, which comes self-contained with a wraparound, non fire rated, hoistway enclosure, complete with gates, doors, interlocks and controls. 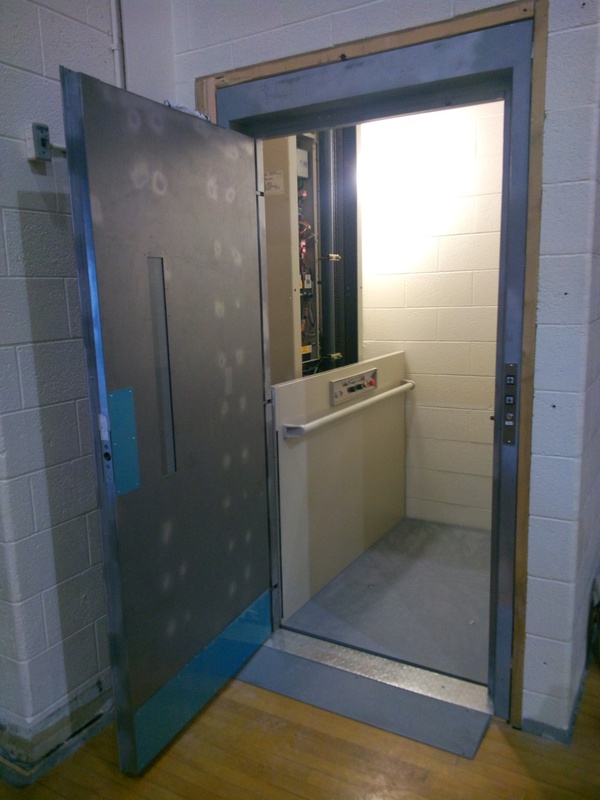 Popular factory enclosures include safety glass, Plexi-glass and metal panel enclosures, being either steel or aluminum for outdoor use. Platforms comes with 42” high guard panels, grab rail and a non-skid platform surface. Constant pressure up/down control buttons on the platform and constant pressure hall call control stations at each landing. 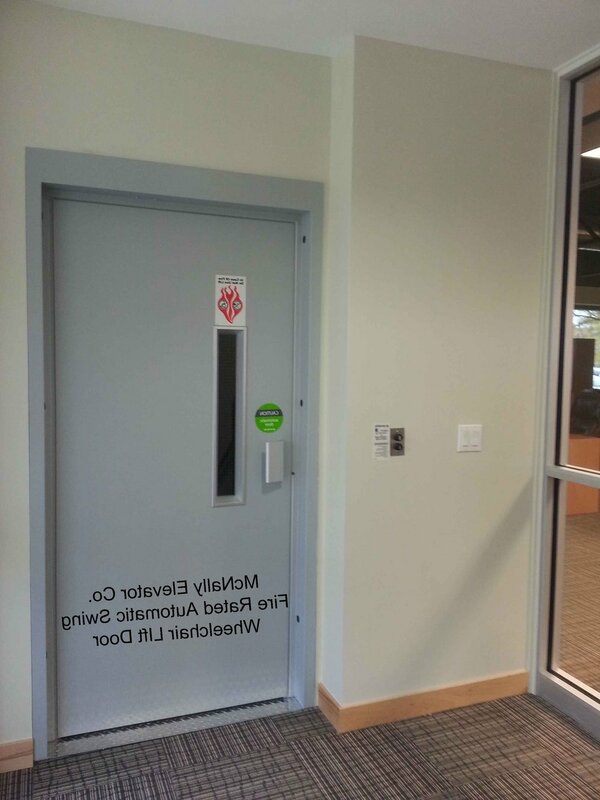 FLUSH mounted doors & gates on the factory enclosed model comes standard with lower landing door and either an upper landing gate or full door. 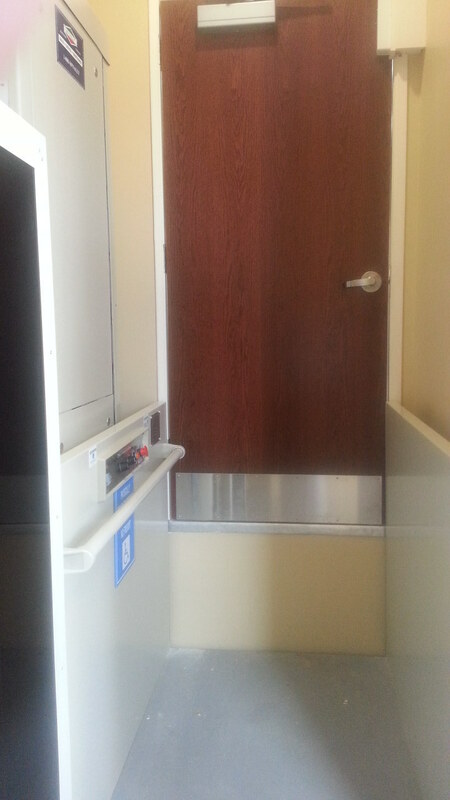 Where the hoistway is built separately (also known as ‘hoistway by others’) flush doors are requiredat the upper and lower landings. 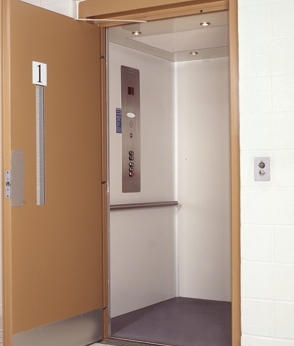 If a more refined VPL is sought, we offer models with full height cabs having a look more similar to a commercial LULA with 6’8” interior height, suspended style ceiling, optional wood grain finishes and hydraulic drive systems. 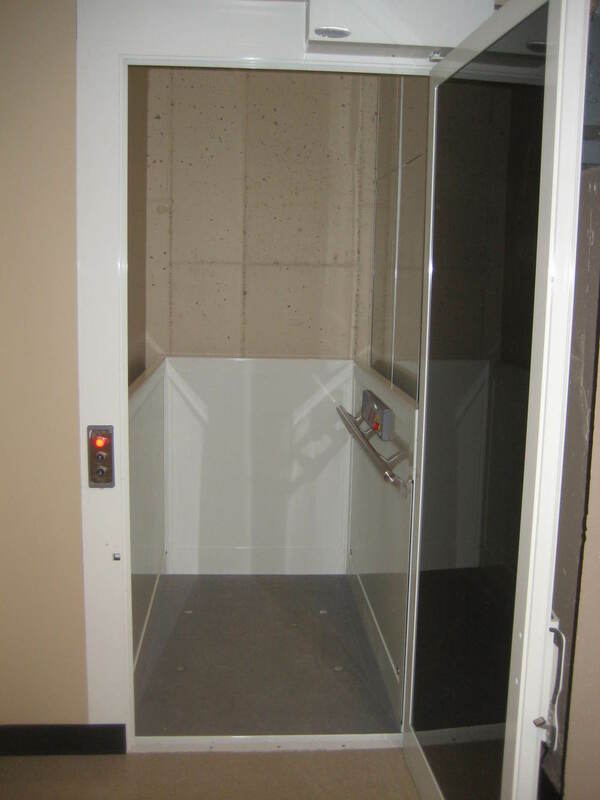 Full Height Cab systems, do retain many platform lift features such as constant pressure controls and 14 foot maximum travel height. 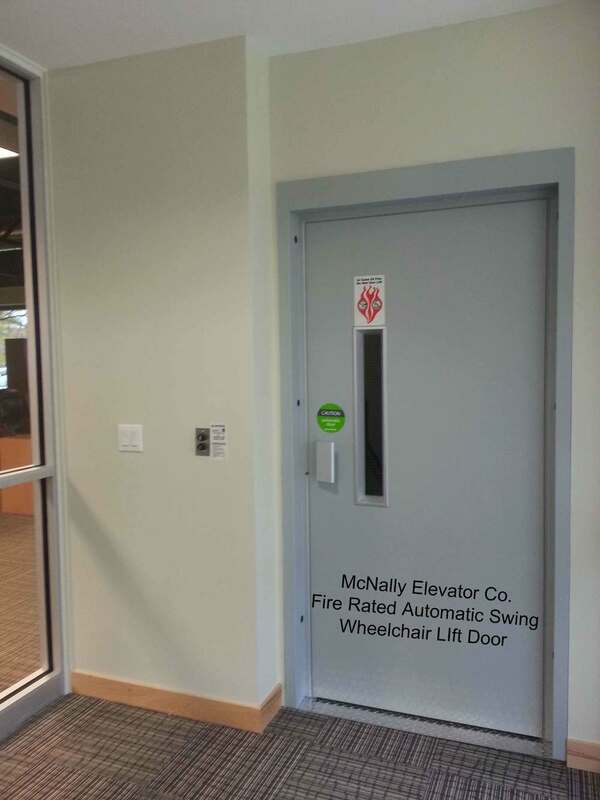 We carry a number of time-tested commercial wheel chair lift models from a number of manufacturers including Savaria and Bruno.